WOWOW's "Blue Man x Kodo - BLUE MAN MEETS WADAIKO!" has been nominated for the 40th International Emmy® Awards for Arts Programming. These awards honor the world's best television programs and the 2012 winners will be announced in New York on November 19th. This program is a documentary and live performance that shows America's leading entertainers Blue Man Group in a brand new collaboration with Kodo. It shows the deepening of the two groups' mutual respect and empathy for each other's forms of expression. The program was filmed in Tokyo in March and broadcast on WOWOW in May of 2011. We eagerly await good news of a win in November. 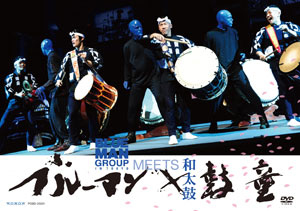 DVD "Blue Man x Kodo: Blue Man Meets Wadaiko" is on sale now at Kodo Online Store and continues to receive rave reviews. For orders in English, please email Kodo Online Store. The International Emmy Awards are presented by The International Academy of Television Arts & Sciences, a membership based organization comprised of leading media and entertainment figures from over 50 countries and 500 companies from all sectors of television including internet, mobile and technology. The prestigious International Emmy® Awards Ceremony is held annually in New York and the awards are bestowed upon outstanding television programs that are made and broadcast outside the United States of America. Theatre performance ensemble Blue Man Group started Off-Broadway in New York in 1991. The blue trio has a totally unique style of entertainment featuring music, art, comedy, and all kinds of technology, which has gained incredibly popularity around the world. "We were influenced in New York from Japan. We had become interested in the Kodo drummers.  (…) completely stripped away their own ego and identity and allowed them to immerse within a group. And that was very much what we were trying to express as Blue Man. We were trying to be a little bit of a reaction to the American idea of "the individual" and express something instead about the power of connection and the power of collaboration." Kodo and Blue Man have attended each other's performances, members of the Blue Man Group came to Sado Island for Earth Celebration and to take part in Eiichi Saito's live-in taiko workshop "Kodo Juku," and our bonds of friendship have deepened over the years. Our collaboration in Japan was realized thanks to this WOWOW program proposal.